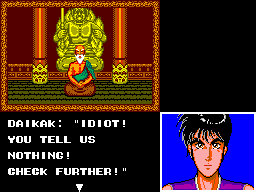 "It's a Sega quest of a lifetime featuring graphic text adventure and high-powered action scenes! 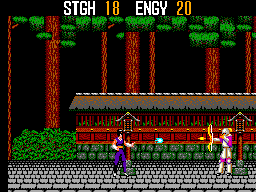 You are Kane, the SpellCaster warrior of Summit Temple. You have mastered the art of shooting Ki Force from your finger-tips. With magic spells you have the power to call down the strength of the Gods! Now an army of evil is sweeping the countryside, destroying temples and villages. You have been called into battle to discover who the enemy is...and what is at the heart of their evil plans. It's an adventure that will take you above and even below ground, across time, space and even into the Land of the Dead! As you battle strange creatures and gain the use of magical weapons, you'll learn the truth behind the attacks and much about your destiny as an eternal warrior of truth and justice! 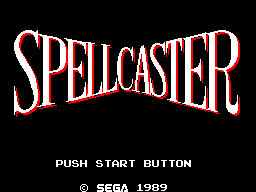 Live through the final battle and you'll discover what it really means to be called SpellCaster!"